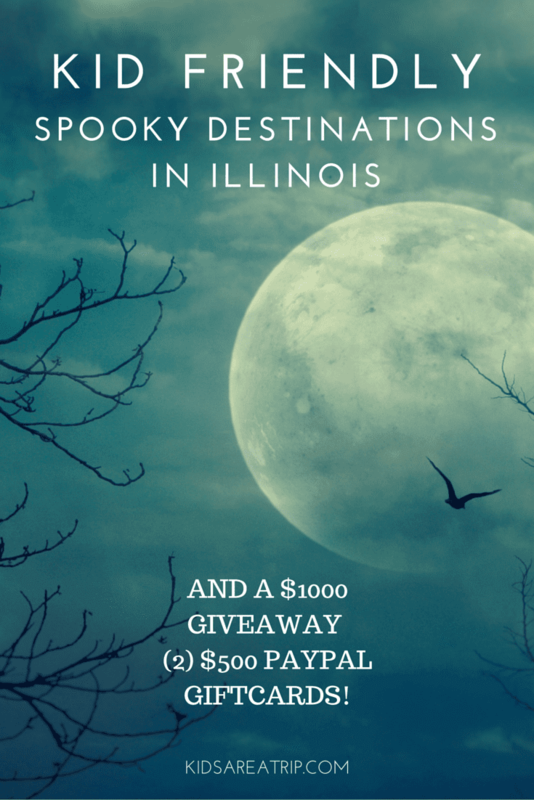 We are sharing some kid friendly spooky destinations in Illinois! Halloween can be a frightening time for young children, so we’ve found some of the more mild entertainment options that will allow your family to enjoy the holiday without causing any additional stress or anxiety (plus a couple scary ones if that’s more your speed). Happy haunting everyone! There are few things that are scarier than a deep dark cave, but what about one carved by nature out of rock? And add that it has been rumored to be haunted? That is the situation here at Cave-in-Rock State Park where the water has carved a dark cavern out of the limestone cliff. The cave is available for inspection as well as hiking trails and playground areas. 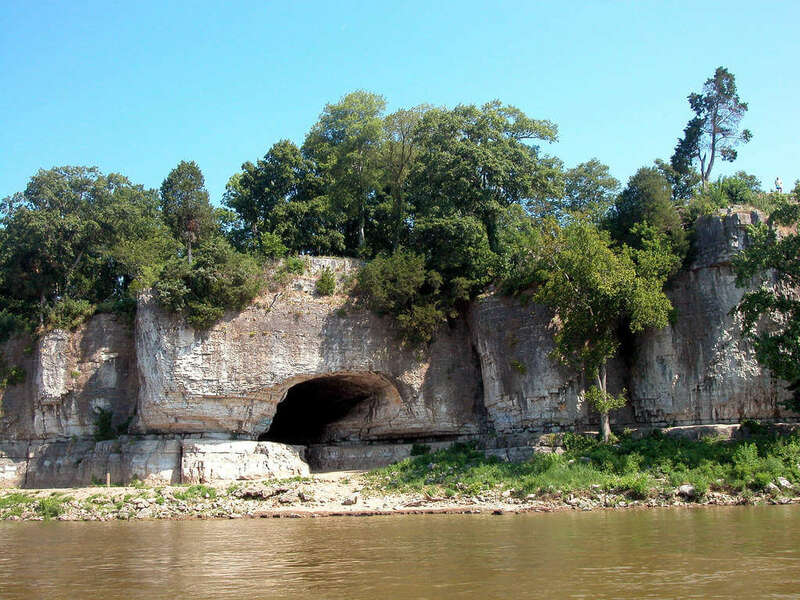 It has been said that the cave was used as both a hideout and storage location for pirate who ruled on the Ohio River in the early 1800s. Since the weather should still be nice for a few more weeks, a visit to the park might be just the ticket for a family trip. Doesn’t look so bad from the outside, does it? This florist and garden center offers a playground and mazes and when you make a reservation, they will design age appropriate scavenger hunts for your group of children. There are inflatable slides, a Haunted House, and a corn maze. They do require a minimum of 15 children for a group and they don’t generally offer an open to the public option. 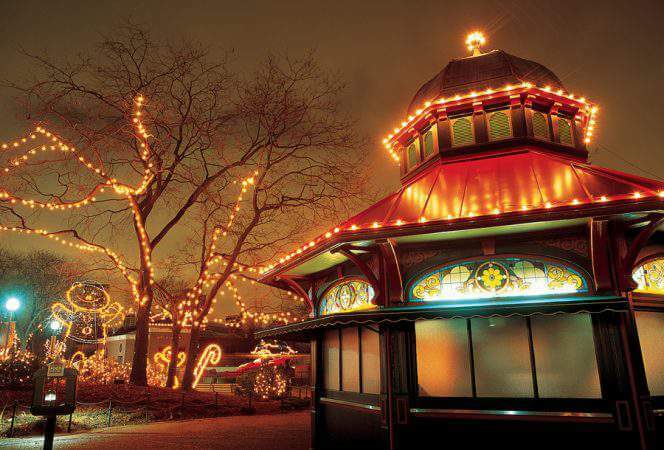 One final attraction – there is a train ride that goes through a haunted forest – and it is included with each child’s admission. This haunted house is set up for a fundraiser at The Timbers of Shorewood, an independent assisted living community. The staff here, with the assistance of the Kiwanis Club, transform the ballroom of the center into a maze and haunted house for two days. There are skeletons, mummies and zombies. For your smaller children, there is also a Halloween game room with games and crafts. Refreshments are also served. Visitors are encouraged to dress in their best Halloween costumes. Money raised goes to the Kiwanis Club and the Alzheimer’s Association, so it’s scary fun that helps others as well. In 2015, the Haunted House will be held October 23rd and 24th. 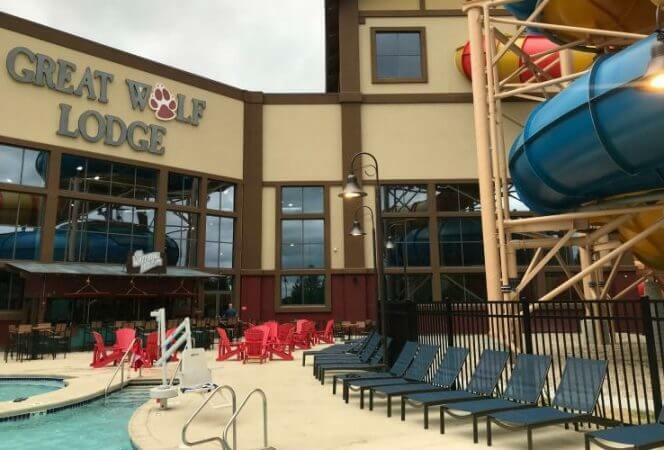 This amusement park provides frights just in time for Halloween. The time and day you visit determine the kind of fright that you’ll receive. During daytime hours, the Looney Tunes characters will greet your children and they will be able to collect candy and other treasures along a trail. There is a comedy show and face painting. In the evenings on the weekends, the midways are filled with scary undead creatures and the Haunted Houses are open for additional frights. As if they weren’t scary enough in the daytime, try riding the roller coasters in the dark. EEK! 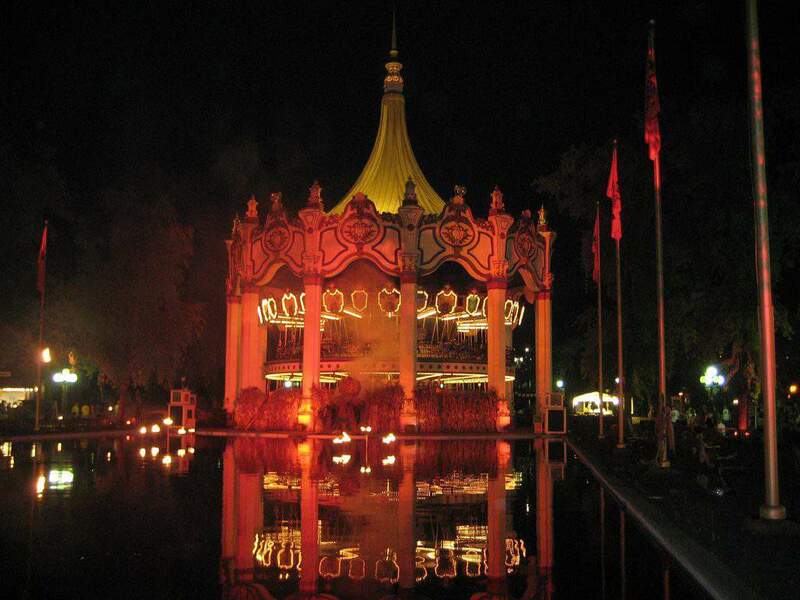 The Six Flags Carousel all decked out for Fright Fest! Spooky! Rumor is that the library, a former private home, has been cursed by a series of unfortunate events. In 1894, the property was purchased by the library. The first three library directors died under suspicious circumstances. In 1966, the library was torn down and rebuilt, but it is still haunted. Workers at the library hear people calling their names, feel cold drafts and some even say they have seen the face of a former library director in the basement doorway. Carrying on with the theme, the library has a ghost story contest for children in grades 7 and above with young authors entered to win a pair of tickets to the Haunted Peoria Trolley Tour. Throughout the month of October the library has a “Guess the Weight of the Pumpkin” contest at all locations and there are Spooky Screen Saturdays when they show different scary movies for youngsters. I want our library to do this! Whether you take your child to this event, depends on your child. They recommend that children under the age of 10 go through the house with an adult, but they allow children of all ages. Definitely make sure your child is ready for this experience before your take them! 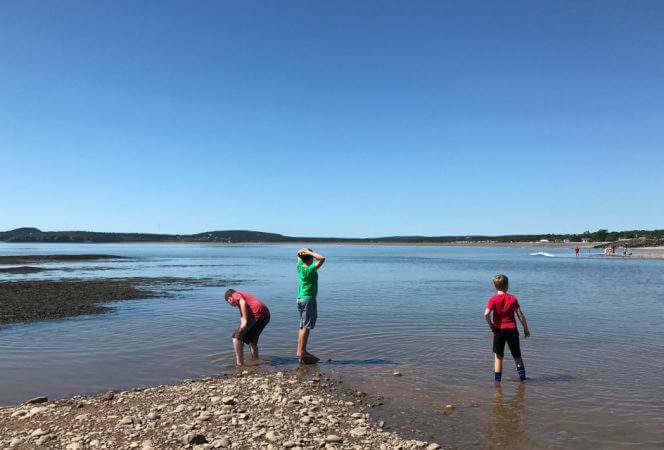 I hope you enjoyed some of our favorite finds around the state for fun activities to explore with your kids over the Halloween season. Where do you like to go for a spooky holiday treat?